Discussion in 'RockyTalky' started by psadmin, Jul 4, 2010. After many questions and requests, Pricescope, with the help of Lorelei and our members, created the following Prosumer guidelines. The forum is growing and more active than ever, so it is necessary to maintain a smooth flow while upholding the positive and educational spirit of Pricescope. A Prosumer is a diamond and jewelry enthusiast who volunteers their time on the forum to share their knowledge and help others. Sometimes new posters may ask what seem to be repetitive and obvious questions, but when this happens, do remember the majority of us were beginners when we first logged onto Pricescope. There is a wealth of information available in the tutorials, articles, blogs and in the archives. Linking to a helpful thread or tutorial is often greatly appreciated, as new posters may feel overwhelmed by the wealth of information. Encourage posters to use the new Pricescope search function to find stones on their own. Help them broaden their searches by using the new search-link saving functions. If the OP lists one or two 1.10 ct F VS2 stones, but you know there are better stones available, then help the OP get started by doing an “in-house” search for 1.08-1.12 ct E-G VS1-SI1 stones. Post a link to your search and explain your reasoning. Remember that individual preference will vary, and AGS 0 Ideal cuts are not desired by all. 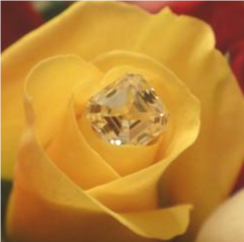 As consumer posters we may suggest suitable diamonds but we should not recommend them. Recommendations are the job of the vendor or expert who can physically see the stones and has the expertise to give appropriate advice. If you think something is wrong with a particular stone please explain your reasoning. If the Original Poster wishes to buy from a specific B&M shop / Online Vendor, suggesting other options within his chosen shop/vendor is the appropriate thing to do. Explain your advice/thoughts clearly when you are stating why a certain diamond has potential over another. The Original Poster and consumer Lurkers will appreciate your thorough answers, as it will give him/her a better understanding. Try to determine the poster’s specific desires for his or her purchase. Relevant questions include: What is your budget? What is her work environment? What types of rings are worn in your social group? What does your intended expect? Gather as much information as possible to help guide the poster and provide questions to help him focus on his priorities. Everyone who participates in this forum is “in it together.” Treat others the way you wish to be treated. Remember that we are here on Pricescope to have a Positive, Educational and Blingy time. Enjoy!